With the fall from glory in sight for the Ravi Karunanayake–Arjuna Aloysius empire, the curtain may be finally coming down regrettably, for The Sunday Leader, which had not been able to print its edition from August 27 to September 3. Sources at The Sunday Leader told Colombo Telegraph that with the removal of the portfolio from the infamous Minister, who in 2015 June took over the effective management of The Sunday Leader, had no choice but to abandon newspaper company started in 1994 by its slain Founder Editor-in-Chief Lasantha Wickrematunge, barely two years after the management takeover; allowing effective control to pass back to its pro-Mahinda Rajapaksa owner and Namal Rajapaksa’s rugger coach Asanga Seneviratne and the latter’s schoolmate and ex-SLAF officer Nalin Jayatilleke. “More than anyone, Ravi Karunanayake(RK) must take responsibility for the dire straits both The Sunday Leader and its Sinhala sister paper – Irudina are in now. Although many tried to shut down these two papers during the height of the Rajapaksa regime, through bomb attacks, arson, attempted murder and finally murder of its architect – Lasantha himself, all these attempts failed. 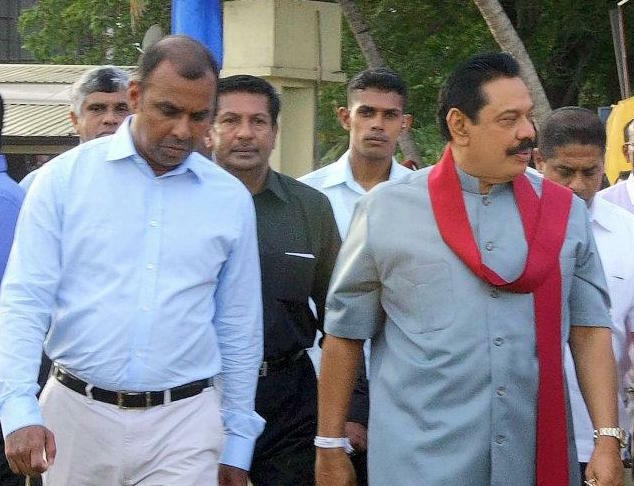 Even the final takeover of management by Asanga from Lasantha’s brother Lal Wickrematunge could not turn tables fully around towards Rajapaksa’s interests. So RK did to what he himself termed as his close friend- Lasantha’s brainchild within two years what Mahinda could not achieve even in a decade. However it is indeed regrettable that these are the final few hours of such a great newspaper!” lamented a close confidante of its Founder Editor, on grounds of anonymity. Colombo Telegraph learns that with the latest developments – Seneviratne’s schoolmate and ex- SLAF officer Nalin Jayatilleke, who was the CEO of Leader Holdings is likely to order that RK’s appointees not be taken into the premises as the ex-Minister had failed to keep his part of the deal for the last two years. “He has further informed the staff that the present employees would be absorbed into a new company – Leader Publishing Group of Companies on a freelance basis and with a 50% wage cut. However he has expressed his willingness to print the September 17 issue although with the situation the company is in, it is nearly impossible to print the paper,” he added. In mid 2015, RK’s advent saw the introduction of the now defamed Arjuna Aloysius newspaper business and the appointment of Mandana Ismail as its Editor. However the appointment of a one-time defamed Chairman of MBSL – Ruwan Gallage as Consultant with full and effective control along with Barush Akbar who was said to be an uncle of Mela Karunanayake, as Director; things went from bad to worse. Infighting among the three factions, namely pro-MR camp led by CEO Nalin Jayatilleke, RK’s camp represented by Gallage and Akbar and Aloysius’s camp, saw Ismail exiting to take up her new position as Chairperson of Peoples Power Media (Pvt Ltd) which publishes Sathhanda at the behest of its promoter and her long time friend – SLFP General Secretary and Minister Duminda Dissanayake. Later on one-time ITN news anchor Mahesh Senanayake was appointed as General Manager in late 2016 but he too left Leader Holdings utterly disappointed with Aloysius ceasing to be a promoter of the paper. Last August 2, Presidential Commission of Inquiry into Treasury Bonds proceeding revealed that SMSs were sent by Ruwan Gallage to RK referring to a payment of Rs three million allegedly promised by Arjun Aloysius. “Leader employees refuse to work and you promised to release funds six weeks ago,” said one SMS. However Former Minister Ravi Karunanayake denied the SMSs stating that he had got nothing to do with the newspaper. When initials ‘RK’ were pointed out by Assistant Solicitor General Dappula de Livera, the Ex-minister stated that he was unaware whether he was referred to as ‘RK’. Sources say that the management including its Accountant Nadith de Alwis, who too was interdicted from MBSL Insurance for embezzlement of company funds and reportedly was asked to be fired by RK several times but managed to save his neck due to cover up by Gallage; are painting a picture of financial troubles to employees, reportedly to avoid making statutory payments. Though Arjuna Aloysius is said to have injected millions of rupees into Leader Holdings continuous sabotage by Gallage and his henchmen left him frustrated and ultimately led him to start his own newspaper company – Integrated Media Network which currently publishes – Janayugaya. The fate of the two papers turned for the worse with Editor of Irudina and former Ravaya columnist Wimalanatha Weerarathne’s employment was terminated in March 2017 for allegedly raising up concerns about frequent interferences into the editorial matters by the management and continuing to take Gallage to task for failing to deliver his promises to employees. “No one knows what happened to all that Aloysius’s money along with our EPF and ETF contributions, which although have been deducted have not been paid to the government. Furthermore rumour has it that part of the property has already been sold for nearly eighty million rupees but the management is purposely hiding this mistakenly believing that taxes, debtors and statutory payments such as EPF, ETF etc would not have to be paid. Our question is what happened to all that money? It is so sad that Lasantha must be rolling in his grave seeing what his so-called friend RK had done to his papers, which he safeguarded even sacrificing his own life!” lamented an employee. Road Blocks In IHR Mechanisms: What Implications For Lanka?